It looks like the site is getting about 8-9000 hits a day. I think the increased traffic is because of the links to other hockey sites. I hope it is helping coaches to run more effective practices. The reason I do this site is to help coaches. 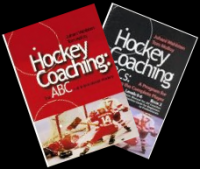 About 60% of the head coaches in minor hockey change each season and it is difficult to be thrown into the situation of running effective practices if you have never coached before. Being a player and being a coach are different things. Some new coaches have a lot of playing experience and some have almost no playing experience. The purpose of this site is to help both groups and that is why the drills and games here range from beginner to pro. I have taught physical education for 35 years at all levels from elementary to junior high, high school and 5 years at the college level. I have coached at the schools, in minor hockey, college men and women, university men, international pro teamsand women's semi-pro. My coachiing has taken me to 3 continents and lots of countries where the players at practice didn't speak english. Sometimes I have an interpreter and sometimes not. The point is that I have always had a passion for this game and for coaching and teaching and it only seems right to share what I have learned. Dwight makes it possible by doing the computer stuff that I don't know how to do. We have never met each other. So he is putting in a lot of time at his expense to help coaches as well. Anyway, after that; here is another section. Face the puck always and give a target. Pass and shoot while skating. Do everything at top speed. A.. Blue and red 1's skate and get a pass from 2's in diagonal corners. B. Pass to3's at the far blue line. C. 1's pivot facing the puck and get a return pass from 3's. E. 3's repeat in the other direction. - screen for the next shooter. - give and go with the next shooter. - play a defensive 1-1 vs the next shooter. Divide the ice into stations and practice individual technique. The coach can focus on skills for various players. 1. Coach pass to defenseman who moves and shoots at the red strpe on the boards. 2.Player agility skate with turns and pivots then get a pass. 3. Saucer pass with a partner. 4. Play rebound with the goalie. A good drill to encourage indirect passing through the neutral zone. I'm hoping it will help encourage players to pass to space instead of directly to sticks. Good drill with only one goalie and few players. It could go both ways with more players. Face the puck, give a target, follow shot for rebounds. 1. F1 skate in and shoot. 2. D1 drive back of the net and pass to F1 or F2. 3.F1 and F2 regroup with the D2 at the other end. 4. F1 and F2 attack 2 on 1 vs. the original D1. 5. D1 rotate to the regroup line and D2 to the breakout pass line. Insist on good habits. Face the puck, give a target, time the stretch for when you are sure the D can turn up ice. 1. F pass to D on each side of the ice. 2. D skate back with the puck and tight turn up ice. 3. F time support and stretch when D has full control and toe caps up the ice. 4. D pass to F.
5. F rebound for the next shooter. *Alternative: After passing D play a defensive 1-1 vs the forward on the other side. Attached is a Swedish manual with 56 instructional drills contained in it. Coaches, Kevin Sullivan sent this to me. and you should get a rough translation of the page. Make hard fakes both ways, fake shots, tight turns. Have quick feet. Cross the blue line and either shoot or pass and shoot. Add variations after shooting. 1. Players line up behind the blueline; coach in the middle. 2. On the whistle leave from diagonal lines and make hard fakes around the coach. B-Rebound for the next shooter. C-Shoot then give and go with next shooter. D-Defend 1-1 vs. the next shooter. E-Get in position for a one timer shot. *Add other variations such as a shot pass. Make one touch passes, face the puck all of the time. Hit the net and follow the shot for a rebound. Change directions every few times. 1. Leave from the blueline and one touch. 2. Low player return a one touch pass. 3. Exchange puck 3 or 4 times. 4. Player on other side repeat after the second pass. 5. Add variations like a tight turn. Shoot while skating and follow the shot for a rebound. Carry the puck in the triple thread position at the side of the body. Anticipate where the rebound will be and shoot quickly either on the ice or top shelf. 1. Leave from alternate corners and begin with skating across the ice then at the net. 2. Skate inside, get a puck and shoot from the outside lane. 3. Inside to outside 2-0. Shoot low at the far post so the goalie must make a pad save. The supporting attacker one time the rebound. * Extra tasks: circle back and rebound for the next shooter. - Challenge the nest shooter 1-1, 1-2, 2-2. - Add escape moves, tight turns, passes. Face the puck at all times. Use pivots and turns. Give a target and call for the pass. A. 1 pass to 2 and follow the pass. B. 2 pivot in a circle and leave the puck for 1. C. 1 pass to 2 in the neutral zone and 2 attack the far end and shoot. D. 3 pass to 1 and follow the pass. Shoot and screen, shoot and give and go with the next shooter, shoot and rebound for the next shooter. Shoot and defend 1-1 vs. the next shooter. Pass hard, drop the puck behind leaving it still. Keep skating all of the time. Maximum of one pass in the offensive zone. 1. A skate and pass across to B. 2. Both skate around faceoff dot. 3. B drop the puck to A who crosses behind. 4. Both skate around the Dots. - A Shoot and both rebound. A pass across to B who opens up and takes a one time. Both rebound. Keep the balls and pucks within a stick length and move them around the body. Stress rolling the wrists big moves. 1. Combine using up to 3 balls or 3 pucks. 2. Use balls of different weight and bounce i.e. tennis, racquet, hockey balls. 3. Example. Start with 3 kinds of balls and after each time around replace the balls with pucks so you have 3 pucks, Each lap take away one puck and then add speed when a single puck is left. 4. When you get down to one puck shots at each end can be done. 5. Use the lines and dots as places to do various moves. The first part of this college women’s practice has them handling one ball and one puck. I posted this shootout race before without the video and some of the explanation. It is one of my favorite shootout - battle drills. Players must have one skate on the dot at the start. No hooking or tripping. Skate to get D side and get the puck. *This is a great contest for puck protection, battling, scoring and a good anaerobic conditioning exercise. Keep score with one colour vs the other. 1. Players are lined up behind the face of dots at each end. 2. A player from each team race for the puck which the coach puts on the middle dot. 3. Protect the puck and try to score vs backchecking opponent. 4. Another puck on the dot and repeat the other way. On Mondays we would do Game Playing Role One - Individual Offensive Skills and often Gaston would do skating skills for 30 min.. Sometimes I would have my assistant coach Tracy Luhowy who played on the Canadian Women's Team run the drills. There is a video of the practice at. I have attached a pdf of the practice using the TC Whiteboard program. The practice has a lot of puck handling, shooting and skating, as well as a 2 on 2 tournament. Our games were on Friday and Saturday. After our Monday practice we went to the College and did dryland and rotated between Spin Class, Boxercise, Plyo's. I have redone the transition game posting and connected more to the video section. This is an extremely important change in coaching that very few coaches are aware of. Instead of a traffic cop blowing the whistle the games run themselves and allow you be a teacher and talk with the players during the game. Transition Games use only one puck and the players must switch between the 3 game situations of: 0-Loose Puck, 1-Offense and 2-Defense. 4-Players covering attackers away form the puck. Transition games enable the coach to create these realistic situations by adjusting the number of players and modifying the rules. Players move in and out of the play on their own and this enables the coach to teach instead of focus on the flow of the activity. Transition games are the natural progression between game situation drills and the actual game. Hockey requires quick feet and agility to change directions. Keep the knees bent and use the outside edges. 1. Skate hard from blue to red line-Stop-hard back over blue line. 2. Skate hard to red line-turn inside-tight turn and back to blue. Start with 1-0 and move to 2-0. Pass hard, give a target, shoot while skating and follow the shot for a rebound. 1. From each end one skate and pass across to two. 2. Two pass back to one who shoots and rebounds at the other end. 3. Repeat on the other side with three passing to four. 4. Progress to 2 on 0 starting with a cross pass at each end. Goalie stop and set up the puck then come back the same way. Forwards give a target and move through the neutral zone quickly. 1. Coach or player in line rim puck behind net. 2. Goalie stop and set up puck for D1. 3. D1 make a breakout pass to a F1 or F2. 4. F's regroup with D2 in defensive zone. 5. F1 and F2 attack 2 on 1 vs D1. 6. Repeat at other end with a rim and D2 breaking out F3 and F4. *Alternatives: From 1 to 3 F's and 2 D can do this drill. Another regroup could be added. F1 skate hard and throw the puck back into a quiet space when the defender commits to him. F2 do one or two cutbacks, protecting the puck to create a passing lane. Follow pass by going to the net. -Coach dumps puck into corner. -F1 skate and get puck. -F1 pass back to F2 and go high. -F2 get puck and do cutbacks. -F2 pass to F1 who shoots. -F2 follow the pass and go to net for rebound or pass. Close support, skate to open ice with the puck, give a target. 1. Play full ice either in shifts or all on the ice at once. 2. There must be at least one pass made in each zone. If not the other team gets the puck. 3. Controlled scrimmage so everyone stop on the whistle for coach input. 4. With shifts in a D100 game pass back to the goalie on the whistle. This is one of the best activities a coach can use to promote close puck support and on ice vision. Players need to learn to play the game seamlessly which means to look around before they get the puck, automatically skate to open ice when they get the puck, supporting players must anticipate the next play, always face the puck and give a target and get open for a pass. Players also need to practice passing while skating and turning away from pressure. Supporting players must give close support plus depth and width. Puck carrier must skate hard to open ice and use escape moves, drive skating and cut backs to create passing lanes. *This game can be played full, cross, half ice or it can be a rule in keepaway games with 2 or more players. Great game for on ice awareness, passing skills and offensive support and defensive coverage. 1. Play full ice with either all the players on the ice at once or in shifts. 2. Players can be in possession of the puck for a maximum of 2 seconds. 3. When over 2 seconds the other team gets the puck (coach monitor). Re: Transition games from the forum. 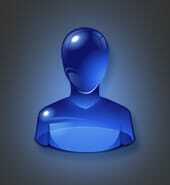 I just went through the forum posting with Transition Games and have listed them here. They all have diagrams and most have video demonstrations with various North American or Europen kid’s, pro’s or women teams that I have coached. There are a few that I filmed other coaches doing. Coaches have developed thousands of drills that stress going through the neutral zone and attacking or coming out of the corner etc. but the game is won and lost in the WAR ZONE (slot) in front of the net. Fighting for rebounds, tying up sticks, boxing out, starting the breakout under pressure, the key areas of a game, are hardly practiced because the players must get out of the way for the next rush in the drill. Transition games are not used by many coaches but are a natural progression from game situation drills such as a 2-1 or a 3-2. The difference is that in transtiton games the coach creates the same situation but only one puck is used and the play must be finished. In standard drills as a 2 on 1 the forwards attack a D, get a shot and maybe a rebound and go back to the line up. The D simply plays the rush and returns to the line up. Games are not like this. In a real game the forwards will fight for the loose pucks with the D who must regain the puck and make a breakout. Transition games simulate REAL game situations because both the forwards and defenders must finish the play before returning to the line up. When the players have learned the basic game situation skills by doing one way drills that work on offensive or defensive responsibility there is no transition. The next stage is to practice using the skills in more realistic situations that demand both good technique game understanding and transition. Transition games allow the coach to create any numerical situation that happens in a hockey game and the players practice these situations under game pressure in the same zone as it would occur in a game. Any of the game formations can be used for transition games. The cross ice, half ice and one zone games use the same rules as the full ice transition games. To organize a transition game the coach must decide what individual or team skill to work on and then devise the game. Take your time and go slowly starting first step by step and let the players do everything in slow motion so that the game is understood. It is best to begin with a 1 on 1 situation and build from there. When the players are comfortable with the flow of the game the coach can add modified rules to practice individual or team skills. The transition game itself is like a template for teaching all the various situations in the game. After the coach has decided what needs to be worked on and where on the ice it should be done, then who gets support during the play, determines the type of transition game to use. In transition games you go from offense to defense and from defense to offense. The coach can create the situation by having the passive players give support to either the defense, the offense or both the offense and the defense. New players come into the play from the line ups and they must assume the appropriate game playing role of either offensive or defensive situations. As the play continues their role changes from defensive to offensive or offensive to defensive responsibilities and all playing situations: offense, defense and loose puck will be encountered. 4. Transition games where both the offensive and defensive teams have supporting players join the play. Players should come in and make a hard move and shoot. The general rule on a breakaway is if the goalie is out far deke and if he backs in shoot. 1. Teams lines up across from each other and the pucks are in the middle circle. 2. One player from each team leaves and shoot at opposite ends. 3. The same players turn back and get another puck from the middle and shoot at the other end. 4. Continue until all the players have shot and keep score. You can also decide the winner by saying the most goals in a certain time or the first team to 10 or another total wins. - Players that score no goals do 2 laps, those who score one goal skate one lap and those who score on both shots zero laps. This is a pdf they did in Sweden about how to develop defensemen. There are many drills and the videos compliment them. The Swedes are very good in their development with proper technique. Checking from the defensive side from Sweden. Time the support to be available when passer gets control of the puck. Give a target, call for the pass, skate to the big ice inside the dots when you get the puck. Desription:A. At both ends player 1 shoot, rebound and pick up a puck from the corner. B. Player 2 be available for a breakout pass from the middle or the boards. It could be two players one in the middle and one on the boards. C. Player 1 pass to player 2. D. Player 2 go down and shoot on the net and rebound. E. After shooting player 2 get a new puck from the corner and make a breakout pass on the other side of the ice for either a 1-0 or 2-0 rush. *Option: Player 2 could regroup with 1 before attacking. - #1 could play a defensive 1-1 vs the player attacking on the other side. - after shooting circle back and time for the rebound of the next shooter or screen. -join the attack and get a trailer pass and shoot from the point. etc. One D must join the rush to the 60% scoring area inside the top of the circle. Get shots and fight for rebounds. 1. Blue F1, F2, D1 attack 3-1 vs red D2. 2. On whistle Red D2 get a new puck and pass to red F3 or F4 and join the attack vs blue D3. 3. Continue the rotation with the defending D making a breakout to forwards giving passive support from the high slot area. 4. Add a forward to make it 4 on 1 or a D to make it a 4 on 2 attack. The natural progression after the coach has controlled this team play drill with a whistle is to modify it a little to create a transition game. Now the coach has turned the decision making over to the players AND the critical WAR ZONE play of fighting for rebounds and making the breakout pass under pressure with good support happens. 1. Only one puck and NO Whistles (unless everyone is messing up) the coach talks to players in the line up instead. A-new players coming in-F3, F4, D3 give passive support from the top of the circle and D2 pass to them. B-combine active and passive support. F3-F4 backcheck and support D2 low and D3 is passive until the breakout pass is made, then defends 1-3 vs F3-F4-D2. C-active support with everyone. F3 and F4 backcheck and make a low 3 on 3, D3 be part of the attack supporting from the point and ready to defend the 3-1 the other way by F3, F4 and D2. This would make a 4-3 in the zone and a PP situation. If the D doesn't join the attack then an even situation would have been created. i.e. 2-1 in the nzone and 3-3 at each end. Players wait along the boards in the neutral zone in C3 Formation. Forecheckers go to one D each and react to D to D pass or double team. Goalie must help D by talking. - Coach dumps the puck in. - 2 D and 3 F breakout vs 2 forecheckers. - F's turn back at the red line. - F's attack 3-2 vs original D.
- FC's return to lineup. When the coach Pierre Page finished coaching in the NHL he took a year off from hockey and travelled the hockey world watching the best teams play and practice. He went all over the NHL, to Sweden, Russia, Finland, Czech Republic. He watched the Swedish Total Hockey (Torpedo or Big Ice Hockey) and all the successful teams. After this he took things that he liked from everywhere and went back to coaching in Germany. He won there and was recruited by the owner of Red Bull to develop a world class hockey program in Sazburg, Austria. As of April 1, 2011 he is playing in his fourth Championship Final best of seven in 4 years. They have won 2 gold and one silver. It is incredibly hard to make the finals every year in a 12 team league but he has done it. Half the team changes each season. 3 of the players in this video had tryouts in the NHL this season and Lee Sweatt played a few games for the Canucks. This style is as close to TOTAL HOCKEY as anywhere,with players interchanging positions, forwards being converted to D. Always 4 up ice on the attack. So the breakouts aren't stagnant lane hockey but require the players to read the situation and act on playing principles. Exciting to watch and very effective. This is total hockey. The 2 players back, usually D fill 2 lanes and one F comes back to fill the other. The farthest F stretches to the far blue line and the other forward supports from the neutral zone. Constant switching of lanes and depths. 1. Start 5 vs 2. 2. On whistle repeat 5 on 2. 3. Again repeat 5-2 on the whistle. 4. Attack 5 on 2 on the third rush. 5. Repeat other way with new players. * Fill the low 3 lanes 2 D and 1 F.
* One F stretch to far blue line. * One F stretch thru nzone. * On attack always 4 in the scoring zone. On offense try to create 2 on 1's and constantly go to the net and change the point of attack. On defense play from the defensive side with the stick on the puck, communicate and everyone cover one attacker. 1. Coach either shoots in a puck or offense starts with a puck on the whistle. 2. Offense gets about 20" to score. 3. If defeders get the puck out the coach puts a new puck in. 4. Switch roles and lines on the whistle.